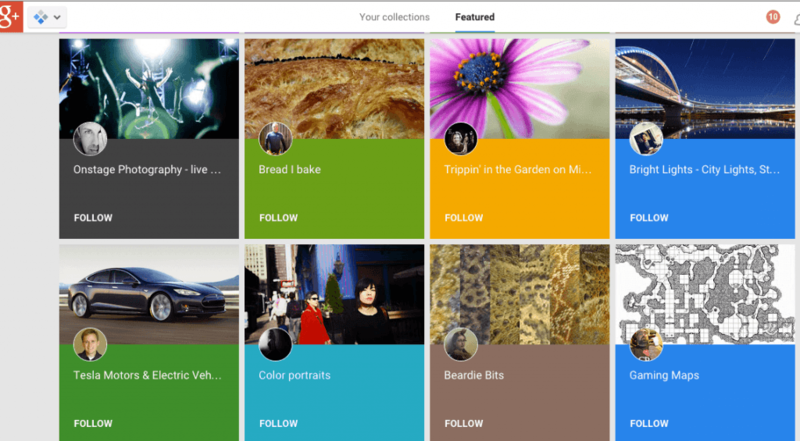 Google+ is taking it up a notch, for content curators and creators alike. 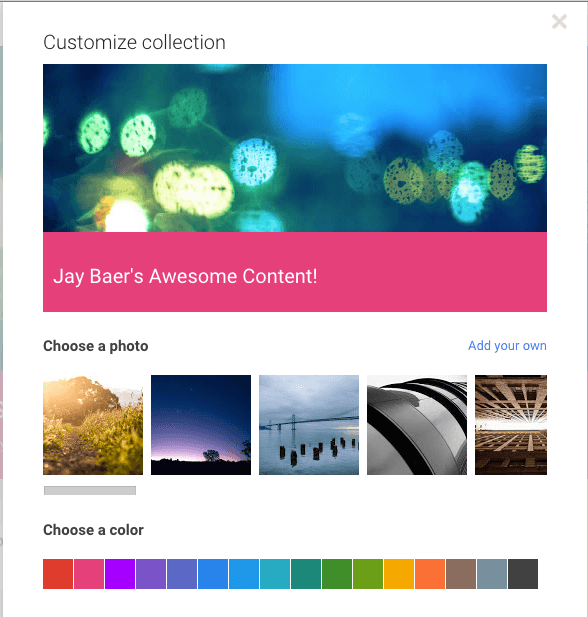 With Google+ Collections, you are now able to collect content into themes. While not exactly like Pinterest boards, they are probably the closest comparison we can make. Think of Collections as interactive magazines which not only feature content but also facilitate conversations with people passionate about a subject. It may be the biggest release on Google+ for the past two years or so. And for many, it is putting to rest that Google is sitting on its laurels when it comes to social. Then, you will be prompted to give it a name and decide who can see it. Choose “Public” if you want maximum exposure. Note: you will not be able to change this setting later on. Once the collection is created, you will be given the opportunity to customize it by changing the top image and the color of the band at the bottom. As you can see, your image and your color scheme can make a world of difference. If you already have followers on your Google+ Profile or Page, and you create a Public collection, your followers will be applied to that Collection. People can also follow (or unfollow) an individual collection as well. This gives people the ability to better tailor the content they see from people. There is a “Featured Collections” tab, which leads you to a page of Collections hand-picked by Google. You will also find suggestions of collections to follow. In other words, Google is promoting you and your collections. As you will see, anything that “stands out” has a chance of being featured, and engaging niche content seems to be featured well. Next, let’s look at a few geeky things. Notice that it doesn’t have the prefix of a person, unlike posts within it, as shown below. It may well be that, in the future, Google+ Collections will follow the precedent of Pinterest, allowing multiple people to share content into the same Collection. This would be great for collaboration. 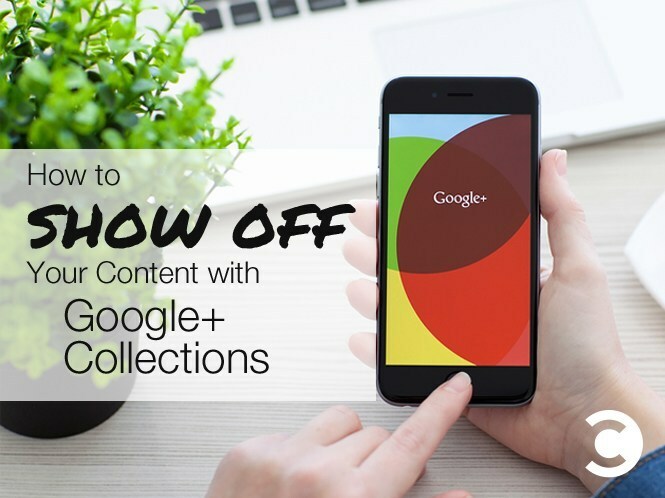 All Google+ posts are indexed by Search, and the same will apply for Collections. Google.com already shows Google+ Communities as Search results, so it may be appropriate to assume that high authority collections may well surface in Search, too. Since “private” is the default on Google.com, your Google+ posts could begin appearing in searches for your followers, as could relevant Collections. This is pure speculation, until the evidence is in. There are two ways to move a post into a collection. One is to reshare it, which creates a new post. To do this easily, click the small arrow drop down on a post. The other is to “move” the post, which doesn’t create a new post. You can do this from the menu above, or from the drop down on the upper right of a post. 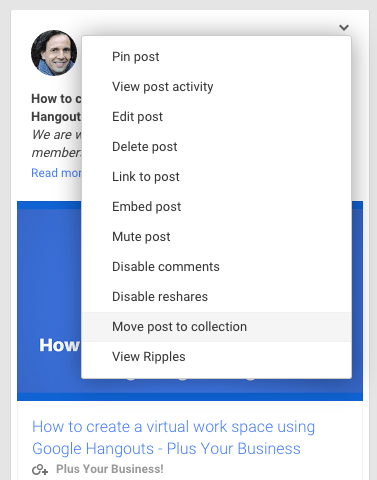 You can also remove a post from a collection via the same drop down menu. Thinking about authority, consider that collections will have authority accumulated through the posts they include. Moving content into Collections, thereby supporting the “story” that this collection is authoritative, makes sense in terms of long-term SEO. And of course, choosing a sensible name for the Collection is SEO 101. You can also think about including content other than your own. Collections are going to be a great way to support the people in your community. If you have a passion and network of people who are into marketing, or podcasting, or social selling, you will be able to niche-curate your posts in a way you couldn’t do previously. What would be the best title for the collection? What approach will you take for sharing content in the Collection? Here’s a tip regarding sharing: You can still share to Public, as well as to circles who permit notifications. Once published, you would then move it to the Collection of your choosing. This gives you the advantage of both approaches: niche curation and permission marketing, which increases engagement. 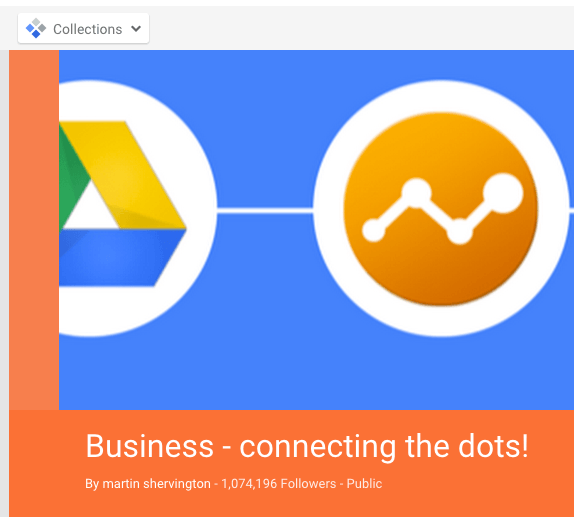 Google+ Collections have been very well received within the Google+ community, and with experimentation, we have begun to see what works best. For every business who has been sitting on the fence, this is the time to get involved and start collecting. You never know—you may well find some nice surprises in Google Search and gain social reach, too. Enjoy collecting!